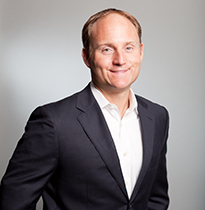 Jared focuses primarily on Business Services investments. He has led or participated in Bertram's investments in CreativeDrive, Spectrio, Author Solutions and Spireon. Prior to Bertram, Jared was with Oak Hill Capital Management where he evaluated investment opportunities across a broad range of industries. Prior to Oak Hill, Jared worked as a generalist in the Investment Banking group at Donaldson, Lufkin & Jenrette.